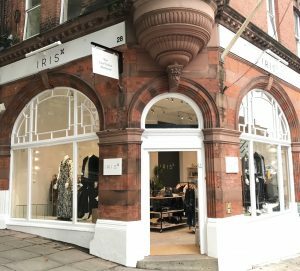 Leading London independent fashion boutique IRIS is delighted to announce the opening of five new stores, having purchased all store leases from rival boutique QUESTION AIR. The new stores will open their doors in Wimbledon Village, Barnes, Hampstead, East Dulwich and Northcote Road, Clapham adding to the brand’s existing portfolio of 4 stores around London (Chiswick, Queens Park, Clapham and Amersham). IRIS offers a mix of stylish, easy to wear fashion, that has became a go-to destination for fashion lovers. The must have range of brands includes Ganni, Ulla Johnson, Soeur, Frame denim, APC, Masscob, MiH, Bella Freud, Jumper 1234, BA&SH, diffusion lines by Isabel Marant and Vanessa Bruno and many more. Additionally, their own brand “By Iris” which complements and enhances the mix of bought labels.